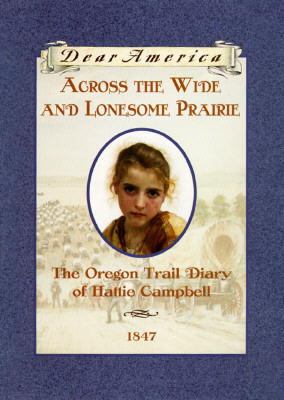 Written as the diary of 13-year-old Hattie, the book recounts her family's journey across the continent on the Oregon Trail. 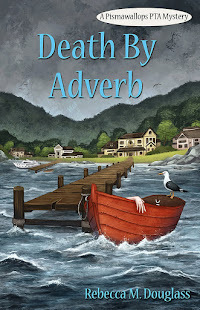 Though it's fun at first, the book doesn't shy away from the realities of death, disease, and hardship along the way. Hattie records it all, until the family arrives in Oregon. An epilogue tells us what becomes of the major characters. 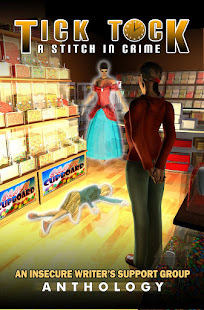 As always with this series, the book is written as though it was an actual diary and the epilogue treats the characters as though they were real. I enjoy that, but am also always a little uncomfortable with it--I do worry that young readers might be confused by the blurring of fiction and non-fiction. I appreciate that newer editions also include the author's name on the cover, as it also always bothered me that the series tended to erase the author--an odd move, given that many of the books are written by stars of middle grade fiction! That said, the series offers some great windows into history, and, as noted, the books are often written by excellent writers who are very diligent with their research. I have read only a few that I thought weren't up to snuff. This is one of the good ones. I have studied the period, and real diaries of women and children crossing the prairies, enough to know that the author has the feel of it right. There are some grim portions, and that is as it should be. No wagon train made it across the Oregon Trail without some disasters and deaths (though there might have been a few more here than the average, I'd bet you could find plenty of wagon trains that suffered worse). One fascinating element of every account of the Oregon Trail (or any of the other westward trails) is the way in which the characters gradually shed their baggage, literal and figurative. By the end, in this case, they have only what they can carry, and that which was vital when they left home often seems pointless now. The reading level of the book would suggest readers from about 8 up, but given the nature of the journey, I might suggest 9 or 10. Full Disclosure: I borrowed an electronic copy of Across the Wide and Lonesome Prairie from my library, and received nothing from the author or the publisher in exchange for my honest review. The opinions expressed are my own and those of no one else. I am disclosing this in accordance with the Federal Trade Commission's 16 CFR, Part 255: "Guides Concerning the Use of Endorsements and Testimonials in Advertising."